For most, Positano is simply the most romantic and chic stop on Italy’s Amalfi Coast. South of Naples, the famous coast is blessed with beaches, sunshine, and picturesque towns spilling down steep hillsides. 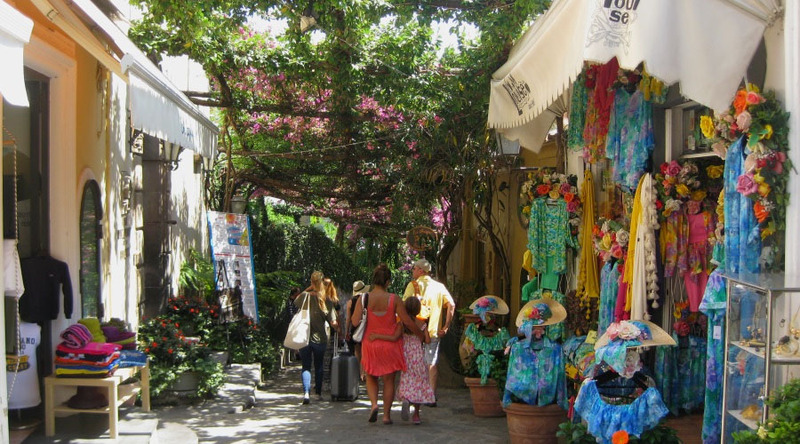 Many who visit Positano want only to shop and lay on the beach. But the tour guide in me simply must put a little historic and cultural meat on your visit. “Downtown Positano” gathers around a single pedestrian street, tumbling past fine shops and restaurants down to a delightful beach. While Positano’s ceramic and linen industries (Moda Positano) date from the 1950s, they boomed when tourists discovered the village in the 1970s. Today you’ll find lots of these shops on this street, along with galleries featuring the work of local artists (and an abundance of much-used ATM machines).